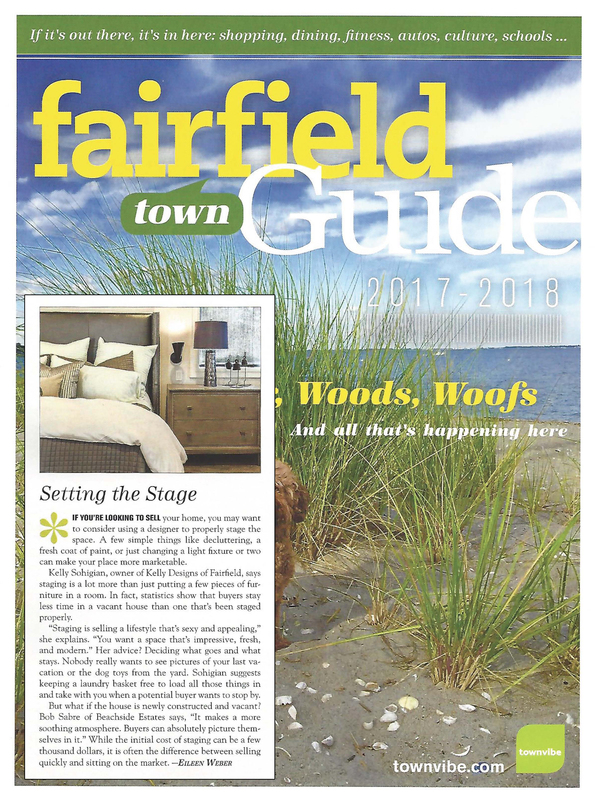 kellydesigns, located in Fairfield, Connecticut, specializes in interior design, decorating and redesign of spaces and dwellings. Founder, Kelly Sohigian brings 15 years of fashion industry experience, 15+ years of residential real estate experience and over 20 years of assisting friends and family with décor decisions, to your home. An award winning Interior Designer with an impeccable record in Customer Service, Kelly strives to meet her clients needs and beyond.. She is the recipient of the prestigious Best of Houzz Award for service for seven consecutive years: 2013, 2014, 2015, 2016, 2017, 2018 and 2019. This award is given to only 3% of the professionals listed on Houzz. 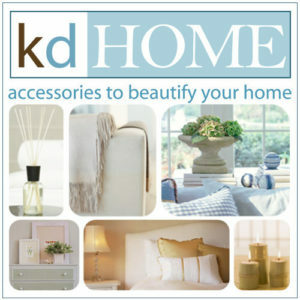 In 2013, Kelly launched kdHOME, an online shop that offers accessories, furniture, and window treatments. The store features decorative pillow covers using current fabric trends to complement or update any room. Alpaca throws, a great accent or accessory to any room, is also a popular item available in the store that makes a wonderful gift. In addition, kdHOME, offers a variety of made-to-measure custom window treatments, and furniture, all hand made in the USA, that can be designed to your liking. Kelly has a strong track record in fashion design and development and technical expertise on fabrics and color. Extensive travel to European fashion centers early in her career led to a life-long “hobby” of tracking trends, style and color evolution. She completed textile and color training in Como, Italy. Most notably, Kelly managed the $22 million Christian Dior men’s neckwear business for six years with key responsibilities that focused on product development (fabrics, style, design, and color) and worked closely with the House of Dior in Paris to maintain brand integrity and image. Kelly is wonderful! She is very professional and knowledgeable, and working with her was very enjoyable. Products were great. She knew exactly what I wanted and needed, and made my life so much easier. Couldn’t be more pleased. We absolutely love the room she did for us – it’s us! Kelly is easy to work with, “gets it”, unpretentious, but reassuringly assertive about choices to help decision-making. And the tradesmen she brought to the project were just as talented and easy to work with, creating a wonderful room that we’re absolutely enjoying. Hire Kelly without hesitation! I have had the pleasure of working with Kelly on (3) different type of project and she is consistently terrific to work with! She is very talented with color, scale, design, very creative problem solver, respectful of your budget, great follow up and all communications plus getting projects done on timely basis and is tremendous resource as well. I would highly recommend Kelly – call her you today! My house is an American Craftsman and it is 100+ years old. The house is very charming and unique. Craftsmen architecture is typically alot of wood and angles. My living room was dark and dated and I needed help too lighten it up and bring it up to date. Kelly did a great job from the choice of fabrics for the new furniture..to the carpet..to the window treatments. My living room now is comfortable, light and fabulous! Kelly did a great job! Kelly’s incredible talent for design goes beyond interior decorating. She was gracious enough to agree to design and construct the flower arrangements and centerpieces for my wedding, and although I knew they would be beautiful, she completely blew me away. I can’t begin to tell you how many compliments they got. Thank you for making our special day even more beautiful. Kelly helped me redecorate my living room, and we love how it turned out. She has strong relationships with manufacturers that helped us to get great discounts. She was very patient with us when we took time to make decisions but also worked quickly when we were ready to meet a deadline. She has a lot of experience and understood our hopes to create a beautiful room that is also family-family friendly. We had a great experience working with Kelly on the design for our new house! She took the time to understand our style and functional needs, and then made beautiful recommendations on options for each room. She was very responsive and easy to work with throughout the design process. We’re very happy with the results! Kelly was an exceptional designer. She was very responsive and a pleasure to work with. She was flexible and gave us many choices and worked within our budget. I especially like the fact that she would allow us to use some of the existing furniture and decorations in a room. She made the process very easy from beginning to start. I would recommend her to anyone that was looking for a project from a small room to an entire home!!! The house that belonged to me for the last 15 years was painted and decorated the way my wife and I liked it, complete with family photos, trinkets, quirky furniture and odds and ends that made us feel that it wasn’t just a house, but our home. When it came time to part ways and make our move to the West Coast it meant hiring the right team to market and sell our home. My agent and I agreed that the right price will sell the home quickly however Fairfield is a buyers’ market, so even a great price was no guarantee. I needed an edge. That edge was Kelly. Kelly explained the home we loved was now a product and to sell a product you need positioning. In her parlance that is staging. Out went our stuff and in came Kelly’s masterful and thoughtful touch. We received offers immediately and closed in 5 weeks. The benefit is visitors see themselves in your house and it shortens your time on the market. That is the key to selling a home. Thanks Kelly!! I found Kelly through Houzz as I was searching for a solution to all my redecorating needs. Kelly was always responsive, worked with my ideas, and stayed within my budget. She gave me choices for materials and products, which narrowed down my work immensely. She also helped me find some other vendor, like my painter, upholsterer, and an awesome woman who made custom draperies and hung them with the hardware. Kelly was worth her fee and then some. I highly recommend her. My husband and I hired Kelly to renovate the interior of our home – kitchen, dining area, and living room. Kelly transformed our home. She did everything to help us decorate each room from top to bottom – researched and advised on colors, fabrics, furniture, knobs, artwork – everything. Communication was never an issue. Kelly was consistently responsive and helped to coordinate orders and delivery. We were confident that, if any issues arose, Kelly would address them immediately. If anything came up that was outside the scope of the original agreement, Kelly was up front about it, and there were no surprises which we truly appreciated! It was a pleasure to work with Kelly, and we plan to use her again in the future. I highly recommend Kelly! Kelly transformed our living room from a formal space that was barely used to a comfortable, sophisticated space that the whole family loves. She has a great sense of colors and textures and took the time to understand what we really wanted and needed. She even went beyond our contract with her to make suggestions for other rooms too! Kelly recently staged a house we have for sale in Connecticut. In doing so, she transformed the house into a home that exudes style and subtle sophistication. At all times Kelly displayed initiative and resourcefulness. She was creative, thoughtful, and decisive, and she had relationships with painters, carpenters, electricians and movers that were invaluable. She basically functioned as a general contractor, as well as designer, and was able to quickly mobilize and coordinate the workers so that the entire project came together in a remarkably short time. She painted our kitchen cabinets and two main rooms and added a beautiful lighting fixture that has made a huge difference in our kitchen. The price for all this was lower than I thought it would be and probably lower than I could have negotiated myself for this one-time job. After a difficult divorce and moving my children out of their childhood home, I was overwhelmed with how to prepare my next home for my family. I was lucky to find Kelly to help me plan my move. I was downsizing and wondered how I would be able to utilize my furniture in my new home. Kelly managed to fit every piece of furniture into my new home and make it all look as if it was ordered for the space. She helped me pick paint colors that are beautiful and peaceful providing exactly the feeling I needed in my new home. Both of my daughters each picked out bedding. Kelly worked with each one of them indiviuallly to pick out paint colors and room designs using existing furnishing we owned that they LOVE. My son had one request, that we bring his desk to his new smaller room. I was sure the room was too small, but Kelly ultimately came up with a terrific layout which includes the desk from his old room. When the movers arrive, all went seamlessly since Kelly provided me with floor plans for all the rooms. And I recently heard my daughter comment to her friend how much she loves her new home. Thank you Kelly for making a difficulty transition into a wonderful experience. Kelly is worth her weight in gold. She is a lovely person and an asset to her profession. Kelly transformed our 5,000 plus square foot house in three hours, and my husband and I just love it. We are delighted that she was able to do this so quickly. Words cannot begin to express how high my opinion of Kelly’s talent as a stager is. Kelly has a great eye. She knows exactly what to do to make a room look better with items you already own. We absolutely love the new look, not only in our kitchen and living room but in the entire house. I am just so impressed and pleased with Kelly, and I would love to work with her again. She is very reasonable and worth every penny. Kelly did an amazing job for me. She set expectations up front in terms of what we could accomplish, what it would take in terms of time and cost, and what the steps would look like along the way, and then she was able to deliver on those expectations spectacularly. Very happy with the process and final product, could not have done it without her. I would absolutely recommend Kelly to others! We cannot say enough good things about Kelly! We originally brought Kelly in to help select paint colors for a whole-house repaint, which she did a wonderful job. We then also had her assist us with the design of remodeling all the bathrooms in our house. Her taste was flawless, and she worked tirelessly with us to remodel all of our bathrooms in our style and within our budget. She also provided invaluable contacts with suppliers and subcontractors. She worked with grace and class with an extremely difficult contractor that we had previously hired, and saved the project when he walked off in the middle and ended up taking on the role of general contractor and getting the renovation over the finish line. Without Kelly, we would still have unfinished bathrooms, and thanks to her, we have a beautiful home. We will absolutely be using her when we redo the rest of our house! Kelly did an amazing job for me. She set expectations up front in terms of what we could accomplish, what it would take in terms of time and cost, and what the steps would look like along the way, and then she was able to deliver on those expectations spectacularly. Very happy with the process and final product, could not have done it without her. Would absolutely recommend Kelly to others.! We cannot say enough good things about Kelly!We originally brought Kelly in to help select paint colors for a whole-house repaint, which she did a wonderful job of.We then also had her assist us with the design of remodeling all the bathrooms in our house.Her taste was flawless, and she worked tirelessly with us to remodel all of our bathrooms in our style, and within our budget.She also provided invaluable contacts with suppliers and subcontractors.She worked with grace and class with an extremely difficult contractor that we had previously hired, and saved the project when he walked off in the middle, and ended up taking on the role of general contractor and getting the renovation over the finish line.Without Kelly we would still have unfinished bathrooms, and thanks to her, we have a beautiful home.We will absolutely be using her when we redo the rest of our house! My husband and I have lived in our home for 25 years. We knew it was time to redecorate, but we did not know where to begin. We were stuck. Once we contacted Kelly at Kellydesigns, everything changed! She met with us, set up a plan, helped us choose paint colors, furniture and made our fireplace the focal point that it should have been all these years. What a pleasure to work with Kelly. She handled everything for us. The finished product is a fresh and beautiful first level of our home. We love it. We plan to work with her on our next project, which will be the second level of our home. If you hire Kelly, you will not be disappointed. She is wonderful. I have worked with Kelly for many years. Initially, I used Kelly to help decorate my four daughter’s bedrooms. She did an amazing job with each room and customized each room to their own individual style. She was spot on with all of her selections. Kelly has an amazing eye with color; her color choice is always perfect. In the past two years, I started my career in real estate and have used Kelly to help with staging homes for sale. She has helped many of my clients and ALL of the homes she stages sell quickly. Kelly really has a gift. I highly recommend her! I would be happy to take calls for recommendations on behalf of Kelly. Kelly is amazing! We would highly recommend her services (and have recommended that our friends use KellyDesigns). She has helped us create a home that is stylish, welcoming and functional for an active family. Very hands on with expert advice. Kelly has been amazing to work with! I especially loved our first one-on-one consultation where she spent time not just about the project but got to know us, our personalities, our family and our lifestyle. We are rebuilding after losing our home in Hurricane Sandy. The project for us is overwhelming. Kelly has handled the entire project from layout design to furniture choices and ordering, to window coverings and paint colors. Kelly listened to our ideas and incorporated her own expertise and creativity to help us achieve the exact vision for our home. Kelly stayed within our budget and provided a plan for a future budget for the next phase of our project. Not only a professional but fun to work with, Kelly takes great pride in her work and has helped us create a beautiful new home. I have worked with Kelly from kellydesigns on a number of projects. In each of them, whether big or small, Kelly took the time to really understand what I wanted and what I loved. She never tried to force her style on me, but instead helped me find my own. She also was great about presenting different price points and giving me the pros and cons to different choices. I thoroughly enjoyed working with Kelly, and our projects turned out beautifully! Sometimes during a home renovation project, the most difficult first step is getting started. Kelly excels at communicating the big picture and then provides quality options during each step of the way. From paint color, moldings, furniture, upholstery and window treatments, our home looks beautiful and feels comfortable. We receive numerous compliments from our friends and family. Kelly is enjoyable to work with and truly loves what she does. Kelly’s design & staging work is totally in tune with what today’s buyers are looking for! Her staging & design services are without a doubt the most effective and impactful marketing dollars I can spend. Her work has often made the difference in getting my listings sold quickly and for top dollar. Many of my clients are so impressed with her work they have hired her to consult on the decorating & design of their new homes. My clients love Kelly and her work – which makes them appreciate me for bringing her in to help get the job done! Kelly was hired to help furnish, choose paint colors, place our furniture appropriately and make our curtains. Kelly was always on time for every appointment and always has so many interesting ideas. She follows through to the very end to make sure we are satisfied with her work, is reliable, and is very pleasant to work with. I highly recommend Kelly for her interior design. Her expertise and professionalism are fantastic, and we are planning to use her again. Kelly has helped me with several home projects during the past couple years, and the end results were always perfect. She is a great listener, very creative and someone with a wonderful sense of style. I found Kelly a real pleasure to work with and will do so again without hesitation next time I need interior design help. I wholeheartedly recommend her. I have hired Kelly for both big and small projects, and she is a pleasure to work with! She listens to you and helps you achieve your objective by offering suggestions based on her expertise. She is terrific at guiding your choices without imposing her taste over yours; the end result is a product you can both be proud of. We have received many compliments on her work, and I will continue to turn to her for advice in the future. She is particularly gifted at selecting paint colors! Kelly’s work is fresh and innovative! She has a talent for captivating what her clients are looking for and staying within their budget. She is passionate about her work and most importantly eager to have happy and satisfied clients! After a difficult divorce and moving my children out of their childhood home, I was overwhelmed with how to prepare my next home for my family. I was lucky to find Kelly to help me plan my move. I was downsizing and wondered how I would be able to utilize my furniture in my new home. Kelly managed to fit every piece of furniture into my new home and make it all look as if it was ordered for the space. She helped me pick paint colors that are beautiful and peaceful providing exactly the feeling I needed in my new home. Kelly worked with my daughters to pick out paint colors and room designs using existing furnishing we owned that they LOVE. I recently heard my daughter comment to her friend how much she loves her new home. My son had one request that we bring his desk to his new smaller room. I was sure the room was too small, but Kelly ultimately came up with a terrific layout which includes the desk from his old room. When the movers arrive, all went seamlessly since Kelly provided me with floor plans for all the rooms. Thank you, Kelly for making a difficulty transition into a wonderful experience. It was a pleasure to work with Kelly again. She was prompt when getting the furniture choices to my clients and she got the job done and transformed a dull empty space into chic/modern space. I will be using her on my own to sell in the near future. The “renew and refresh” concept of Kelly Designs greatly appealed to us as we considered updating our older colonial home. Working with Kelly was an amazing experience, from start to completion. Kelly is truly professional in her expertise, with a keen eye and a thorough knowledge of design principles, yet, of great importance, she really listened and was sensitively attentive to us as she guided us throughout the process. Kelly is committed to excellence, evident also in the quality of the individuals she recommended to work at our home. Our project was completed in a timely manner under her direction. We are thrilled with the results of our project with Kelly and truly enjoyed working with her! Kelly did a fantastic job with our living room. She paid attention to our budget and made the entire project come together like magic. Kelly created three separate seating areas and designed a large window seat that all work together and create a great flow for the over-sized room. Using neural colors for the larger pieces like the couches, chairs and ottoman, Kelly was able to strategically place pops of color to create the desired color pallet. She made it work without requiring us to commit to the color scheme indefinitely. This gives us the flexibility we requested. The fireplace, vaulted ceiling, sliding glass door, window seat, and two sets of french doors seemingly posed no obstacle for Kelly, and we are very happy with the final product. Before hiring Kelly, the room was a giant empty space, and now it is my favorite room in the house. It feels updated and modern but still classic and tasteful. She is a graduate and member of The School of Interior Redesign (IRIS). She is also a Professional Member of the Interior Design Society (IDS) and The Association of Design Education (ADE). Kelly has earned the RESA-PRO designation from the Real Estate Staging Association (RESA). Kelly is involved in The School of Interior Redesign (IRIS) and their partnership with the National Ovarian Cancer Coalition (NOCC) to provide public awareness and education about ovarian cancer. She is among a group of Interior Redesign Specialists who volunteer their time and talents to create “havens for healing” in the homes of the courageous women receiving treatment for ovarian cancer. If you know of a woman undergoing treatment for ovarian cancer in Fairfield County, please let her know that kellydesigns is here to help. kellydesigns has longstanding relationships with some of the country’s best home furnishings, textile and furniture suppliers which allows us to provide our clients with discounted prices and outstanding value. kellydesigns is an active member of the Fairfield CT Chamber of Commerce and the Fairfield Chamber of Commerce Networking Group. Kellydesigns services all of Fairfield and Westchester counties. In Connecticut: Greenwich, Stamford, Darien, New Canaan, Wilton, Ridgefield, Westport, Fairfield, Easton, Weston, Norwalk, Rowayton, Trumbull, Oxford, Shelton, Derby, Orange, Milford, Huntington. In New York: Rye, White Plains, New Rochelle, Scarsdale, Pelham, Pleasantville, Tarrytown, Larchmont, Harrison, Mamaroneck, Port Chester, Ardsley, Irvington, Purchase, Hartsdale, Bronxville, Armonk, Bedford, Pound Ridge, Mount Kisco.